Is your agency or law firm ready for your close-up? The CFPB may be at your door sooner than you think. This quote from the movie Sunset Blvd. is a portrayal of the scene playing out on the ARM industry stage instead of the theatrical stage. As the regulations become more burdensome and the agencies like the CFPB expand their scope, will you be ready for your close up? Are you making moves today to be ready tomorrow? 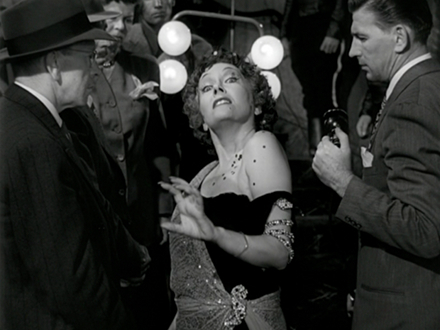 Playing Norma Desmond in the movie, Gloria Swanson made the line famous “All right, Mr. DeMille, I’m ready for my close-up.” But Norma was disillusioned when she said this in the 1950 movie and in fact was not even sure who or where she was. Is this you? Are you also in denial that you’re ready for the regulators or disillusioned that they might even show up at your door? It is my opinion that they will likely show up at the doors of small law firms and agencies in 2015 as they follow the trail of inventory from the big debt buyers and banks down to the smaller companies, adjunct organizations and even vendors to the large market participants. Many people believe they are too small to be a bother to the regulators but as the industry tightens we will all come under more scrutiny. The vendors are now subject to audits and review with a fine tooth comb and the smaller servicers will be next. As the regulators investigate a bank our debt buyer they will be following the trail of money and collections. The debt buyer may have inventory placed at 20 agencies and law firms or 50, or maybe 100. The regulators will be interested in how those vendors are doing the job for the bank or debt buyer and they will be investigating them to find out. So what do you need to do to be ready? Achieve certifications, develop and maintain SOP’s, and develop a compliance team with a holistic view and reach into every area of your business. This is just the beginning and there will be more hoops created for you to jump through each year for the foreseeable future. In truth there is much too much to do to mention in a short blog but you better get started now. This is a moving target and it takes a lot a work to keep up. And if you’re starting behind the rest of field, you may never make up the gap. If you desire some help finding the harbor safely Lighthouse can help you just give us a call at 904-687-1687 and ask for Mr. Phillip W. Duff the CEO.